I can’t say enough about Ragnar. We met at a Crafts Fair many years ago when I was studying at Pratt, and over the years my wife and I have made a number of (but not nearly enough) pilgrimages to his studio in Brooklyn. It’s worth the trip for sure. 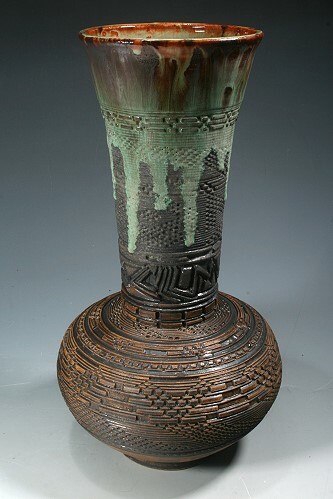 His website is here, at North River Pottery, but it must be very hard for any website to do his work justice. We have several of his pieces, which I thoroughly enjoy. Especially the over sized coffee mugs we’ve had for at least 15 years. I can’t put my finger on it, whiffs of Sullivan and Wright, perhaps. But I love his style. Reminds me, I’m due to go back.